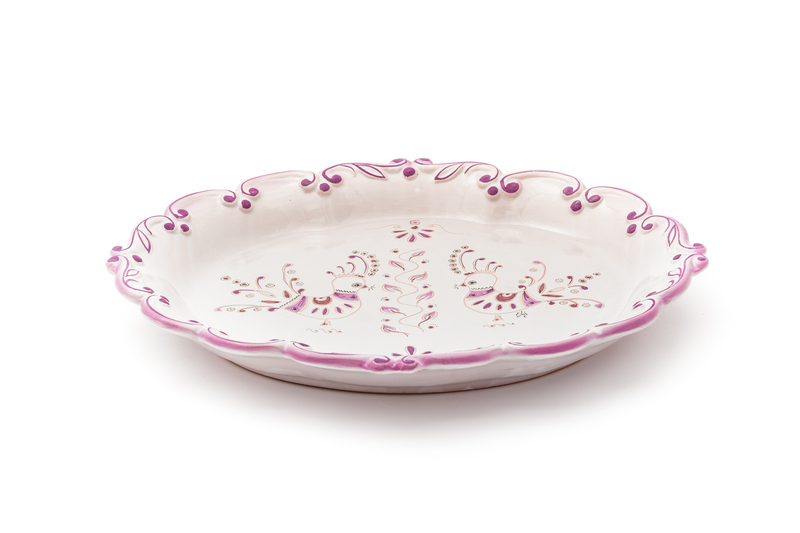 It belongs to the Glicine collection, characterized by the delicate faded colours of violets; the ceramic tray with graceful shapes and decorations that reinterpret the traditional lapwing motif. It consists of three pieces on perforated spice containers. 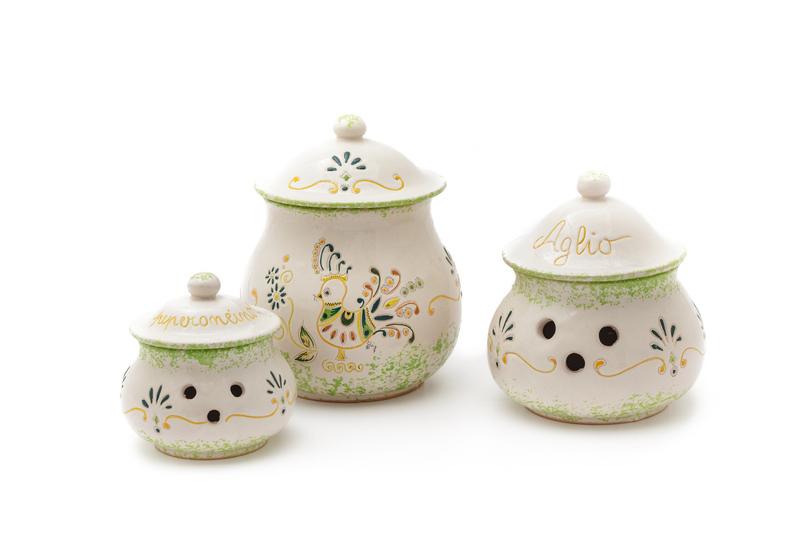 They are made of enamelled ceramic and are part of the Primavera collection, decorated with delicate shades of green. The wavy shapes and the lapwing motif characterize the oval platter, designed to be also hung as a decorative element. It is part of the Glicine collection, with the delicate shades of violet. 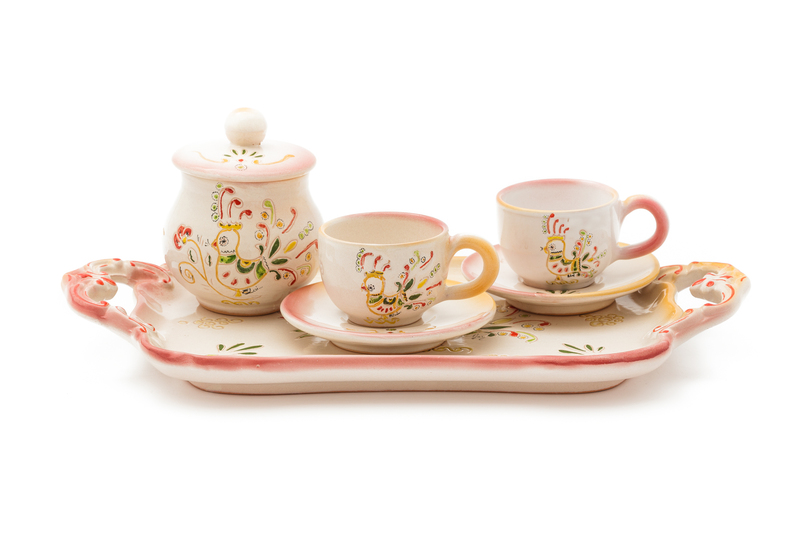 It is part of the Folk collection; the small and precious coffee set for two consists of a tray, cups and a sugar bowl. 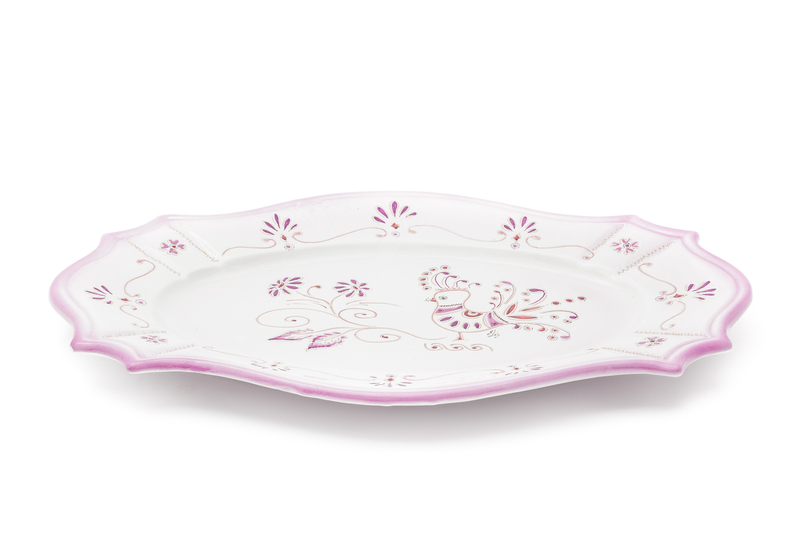 The Baroque inspiration emphasizes and characterizes the shape of the tray. The original flower-shaped glazed ceramic platter, decorated with the lapwing motif, consists of seven elements. It is part of the Folk collection that is characterised by delicate colors, engraved marks and precious nuances. Enza Loi learnt her pottery techniques when she was very young at the workshop of her father Lorenzo, an expert potter of the center of Dorgali, and her mother Maddalena, an artisan decorator, standing out as an expert art decorator. Her production is characterized by skilful decorations that the craftswoman performs offering a collection of traditional motifs that her family passed onto her. The production consists of dining sets, furniture and decorative pottery, characterized by collection featuring different motifs and colors. 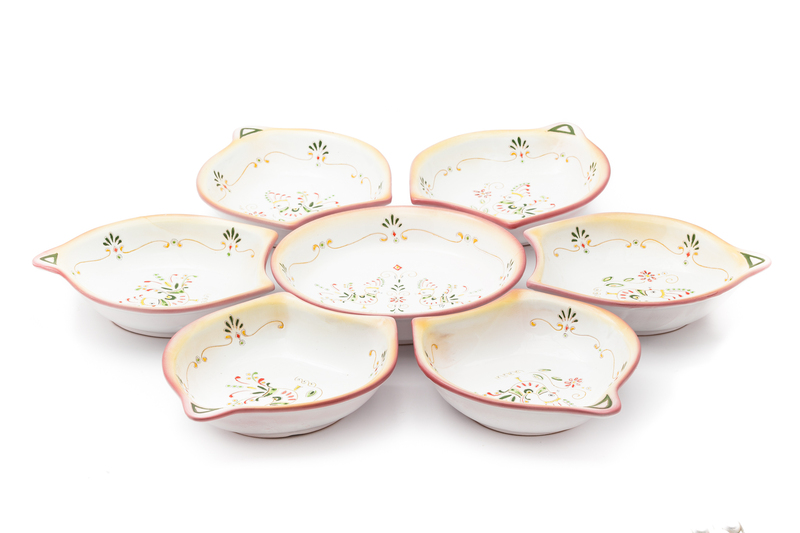 The traditional design of the lapwing is featured with other solutions, enriched by opalescent enamels and glazes. The original line of trays and clocks combines ceramics with wooden elements. Her attention to details which includes decorative engravings and decorations by brush, characterizes her workshop production, while the shapes of the objets are moulded or lathed. The skilful use of the airbrush enhances the typical colour of objects.